I realised that this book was not in the library and it needs to be. Regardless of whether you accept tha claim that Howard et al. Are the fathers of modern spintronics or not , or that he was a neighbour to Ed Leedskalnin this work provides important methodological information for a modern approach to magnetic behaviour and is immediately more c oncise than Ken Wheelers verbose but still vital modern approach. The Ferrocell and the ferro fluid do not figure in this book and do important cross referencing need to be done, but then I have not seen any other basic introduction that relies on the hall sensor technology. . This methodology alone is vital to understanding magnetic behaviour and developing magnetic theory. . You will also find validation of Eds two magnetic spin currents in a copper wire attached to a battery , pictured prominent,y in this work . I am NOT a particle theorist. I am a dynamic rotational aether theorist from which I attempt to depict and derive fractally distributed regional rotation behaviour. . Thus patterns of these behaviours represent rotational, periodic torsional and pendular motion behavious , that is vibrational and oscillatory behaviours of all kind. The simplest models of what I conceive are trochoidal dynamic surfaces whose 2dimensio al plane Intersections will look like fractal Trochoids, similar to those found at Fractalforums.com and Fractalforums.org. Non of what I propose is conceptually easy , and I too am drawn to use common references despite them bei g misleading. . But I have presented many lines of interest and interpretation to disabuse the reader of over simplifying magnetic behaviour. I am not an expert, just convicted as Ed was that magnetic behaviour is foundational, primitive and dynamically and perpetually rotational even if in dynamic static or motional equi.ibrium. Ed, following Gilbert and other European philosophers proposed a dynamic partic,LE explanation or depiction of magnetic source. All particle physicists including Johnson do the same. . Thus monopoles become the fundamental building blocks. However I propose as did Boscovich rotational dynamics in an otherwise continuous medium. 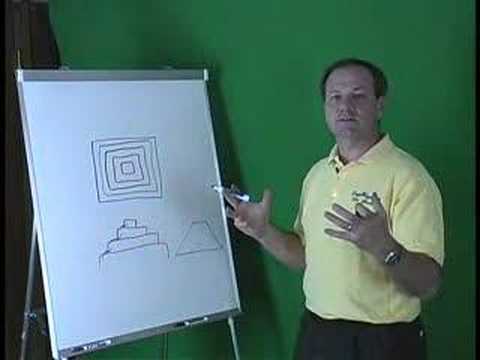 Thus vortices become the fundamental building blocks. The difficulty with vortices is the Math, and the fluid dynamic equations. 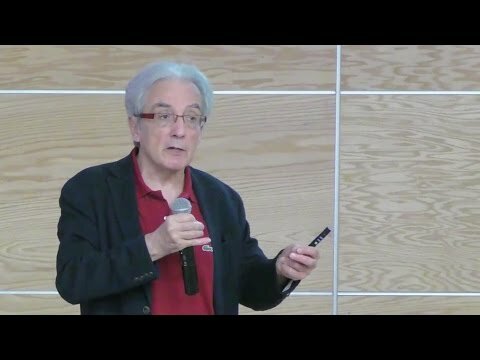 However today we have powerful computational machines , techniques and methodology that can do that which Newton and other computation al prodigies could not do to the required proficiency and accuracy. Why bother? We have found methods and depictions, chiefly particulate that are just good enough and have guided technological advance have we not? What many now realise is that very facility has locked our minds into power games that attempt to assert something I can never know: ultimate reality. Well those games are falling to pieces through assertions of dark matter, dark energy and dark holes!! . The simplicity once promised has now become mindbogglingly complex. If it is in fact complex, let us start with a complexity we can observe , and that is rotational fluid motion. The theory of charge( electric) in a magnet charge or field is not intuitively helpful, so electric theorists have replaced magnetic charge by Faraday Tubes of magnetic for d, pressure and induction, acti g on charged particles. However in wave mechanics we can model the interactions by rotational dynamics USO g propagation by variation of tensile( intensive) forces in a medium, and explain reflection , refraction, dispersion / diffraction by these means giving simple whole number relationships or quantised relationships. We can also model probability b rotational formulae. . I have attempted to draw attention to Aragos disc discoveries relating to diamagnetic materials and the noticed charge differential, famously used in homopolar motors, and the work done to develop the hall effect sensor and the Langmuir probes. . In this regard the methodology of 3 mutually orthogonal Hall effect sensors is crucial to appreciating what Johnson et al have done. . The careful interpretation of what they have measured can support both the wave and the particle interpretation , but ultimately the wave interpretation, though more complex is more fundamental. The wonderful contour and surface maps of the data are only part of the information encoded! . Careful interpretation is needed because many and I include myself, want to simply rotate the contour maps to form a doouble torus at each. So called pole. David LaPoint is one of these in his primer series. . However his bowl shaped magnets can be analysed by The Joh son et al method which will reveal something different is in fact going on! The discovery of the spin vortex is a complex analysis. Ferro fluids support the spin conception easily nowadays, but the work done by Johnson intimates much more! . Any simple spin vortex description is likely to mislead, and this is why their description of spin, bases on as symmetric time motions or as Leonard Suskind put it: fractal motions that devolve into the arrow of time is so important. I have a lot more research to do in modern spintronics but particle descriptors aside, the rotational dynamic is clear and indisputable, despite what quantum theorist might say! Here also is a discussion on one aspect of the above book. Somec36 years after the publication. Now I am not fully read of this discussion but already he claims Johnson did not explain his methodology clear enough in the book! . Well I agree a proper experimental write up is necessary to see if as Johnson claimed the results are repeatable, this book however is not for that purpose. Johnson, now deceased clearly asked interested parties to contact him for details. Hopefully his estate, along with patent documents will contain the needed information. . The set up however is simple enough , and I imagine could be much improved upon nowadays. Those that manufacture spintronics material should be able to advise! . Yes Johnson clearly states these measurements are taken in a plane above the magnet surface, I already know that huge differences in Gauss readings can occur between the surface and a minute distance from the surface. 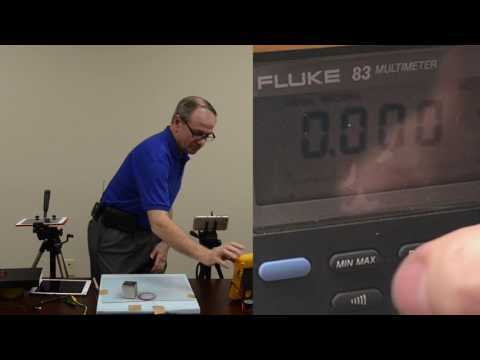 When modern gauss meters are used on neodymium magnets. It is very interesting to read that already prior to 1970 different combinations, layerings and positionings of material were bei g used to create stronger permanent magnets. In the book his banana magnet had pole pieces of a different material in its construction! This is also the time to consider moder electronic meters. They measure by signal pulse generation. . The comparison of a measurement generated pulse signal against a reference pulse signal allows digital readout of voltage, amperes and resistance. The integrated circuits that generate these clock cycle square form pulses rely not on wire loop solenoid magnetism but on material capacitance. The capacitors in these IC chips are reliable and robust and are of extremely low inductance. . So we have a low inductance meter that is digital replacing the high inductance galvanometer type ammeter and voltmeter. While we usually explain capacitance in terms of electron build up and discharge it should. Be noted that a magnetic explanation existed as long ago as the electroscope of Sir William Gilbert. Nevertheless the low inductance of modern IC chips makes it ideal for measuring components of an assumed magnetic field vector. Mathematically we should refer to these results as Bivectors since the hall sensor elements are tiny plane elements. . This makes a difference because a bivector measures also rotation as well as orientation of an area. jThe common explanation of a hall sensor element utilise two intertwined streams of charged particles positive and negative flowing in opposite directions. Note that Howard lohnson decided on a 2 particle force theory , which is not surprising given the literature he references. This is just one of the reinterpretations necessary to describe a wholly magnetic rotational dynamic fundamental mode, from which to derive all magnetic and electric modes, indeed all forces. I need to unpack the magnetic lore I have been bumbling along with. Firstly the magnetic force is measured relative to copper wire with an EMF or MMF creating a looped circuit. This force is then formed into an H field in a solenoid structure which relies force to the number o loops and the length of the solenoid. Using the H force the B force is calculated in size and direction relative to the central axis and the magnetic permeability of the core . A spin Hall effect device or a hall sensor therefore measures proportional to these 2 field force lines. . Whether we use electrons or skymions we are dealing with dynamic magnetic rotation. The voltage difference represents a build up of pressure between the sides which is a double layer difference , a polarity difference usually called charge but clearly a mode of magnetic behaviour . We have to seriously include diamagnetic pressure stresses as involve in these electric currents so called. However much later the so called beta ray plasma was shown to be magnetic and this lead to the notion of a spinning sphere generating a magnetic dipole moment. . However spinning skymions are known to generate charge! I submit that magnetic dipole spin and spin orientation is the definition of charge, that is of electric charge. 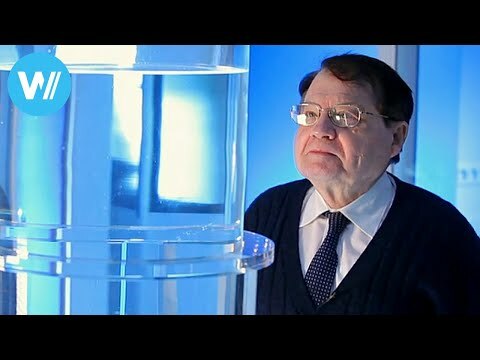 Sadly, one of the real pioneers and inspirations in the emerging field of magnetic energy from the vacuum via asymmetric magnetic systems has passed away early in January. Howard Johnson was a truly noble person and my friend for many years, during which time he introduced me to several novel effects in magnets and magnetic materials, and freely showed me the results of his years of very hard effort. Twice to my personal knowledge he did successfully build a self-rotating permanent magnet machine, only to have it promptly stolen in professional break-ins to his laboratory. In memoriam, I wish to tell a little of Howard’s life and achievements, and to express my strong personal appreciation for his having been my good friend for three decades. Howard Richmond Johnson was born at Wise, Virginia on June 1, 1919 and passed away on Jan. 2, 2008 in Blacksburg, Virginia. He is survived by his beloved wife Gladys, a brother Alvin P. Johnson, and five children: (1) Laura Ruth Marthas, (2) Linda Knoblet, (3) Donald Johnson, (4) Elizabeth Basle, and (5) John Johnson. His father and mother, William Andrew Johnson and Ida Crouse Johnson, are deceased, as are his three brothers Albert B. Johnson, William H. Johnson, and Calvin B. Johnson. According to Science & Mechanics, Johnson was and is directly connected with (and responsible for) more than 30 patents in significant chemistry and physics apparatuses and processes. Howard graduated from the Christopher Gist High School in Pound in 1940. From there he attended Scarritt College in Nashville and obtained an AB degree in 1943, and then did three years of graduate work in those science areas that so interested him. In the U.S. Navy in WW II, he developed a better system for coding and decoding. It was accepted by the Navy and patented; and it is still highly classified. As the director of Howard Johnson Electrostatics & Electronics from 1948 to 1950, he developed a new painless electromagnetic hypodermic and invented an electrostatic dispersal unit for the microtome (a medical machine used for slicing imbedded tissues to put on slides for microscopic diagnosis). As an Engineer in the Experimental Reactor Division of the Atomic Energy Commission in Oak Ridge Tennessee from 1950 to 1952, he developed pump seals for 1500° F and two lubricants for this temperature. From 1952 to 1958, as the Director of Electronics & Electrostatics, Inc. he developed switches and also new methods of silencing various types of equipment, for the CIA and the U.S. Military. He also produced and delivered 100,000 units to outboard customers, including several highly classified products, in 18 months. One of his ceramic mufflers renders a motor-generator silent at about 50 feet; this is a production unit and well tested. He has produced classified mufflers for small motors, e.g., that render a chain saw’s motor “silent to the listener’s ear” at about 12 to 15 feet. From 1958 to 1960 he was the Director of Research at Sorrells Johnson Corp. From 1960 to 1966 he was a consultant and also directed his own research laboratory. From 1966 to 1968 he was a chemistry instructor at Cedarville College, Cedarville, Ohio. From 1968 to 1972 he was a Senior Research Chemist in the Research Division of Kelsey Hayes Corp. 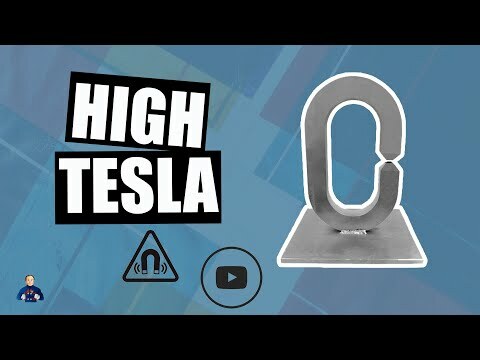 Here he developed a new type of 92 pole permanent magnet generator and also developed non-locking brake materials for automobiles and motorcycles. From 1972 until his death in 2008 he was the Director of Research & Development for his own company, the Permanent Magnet Research Institute in Blacksburg, Virginia. There he was very noted for his work to attain asymmetric and thus finally self-powering permanent magnet systems, experimenting with hundreds of designs and build-ups and with several very novel but legitimate magnetic effects that do provide the necessary broken symmetry in the magnetic assemblies themselves. One such little known but useful highly asymmetric effect is the evocation of the exchange force violent magnetic pulse in materials, producing a sudden, momentary magnetic field which may two or three hundred times as strong as the normal magnetic field being used. Several of his magnetic motor approaches used the self-evoking of this pulsed very strong exchange force to momentarily overcome the back mmf region magnetic force field, thus producing a self-rotating asymmetric permanent magnet motor. For many years, Howard worked closely with Professor William Harrison and his associates at Virginia Polytechnic Institute there in Blacksburg, Virginia. Professor Harrison developed mathematical modeling and detailed computerized measuring of the specially shaped magnetic fields surrounding Johnson’s asymmetric magnets and their movements. This was a valuable help to Johnson in optimizing and testing his experimental designs. In any permanent magnet motor or propulsion unit, it is the broken symmetry created in the magnetic fields of the magnets that provides the propulsive power. We may either put in a coil or some such and then “pay” for the energy pulsing ourselves, necessary to break that symmetry in the back mmf region. Or, we may utilize some of nature’s asymmetry mechanisms to get the materials themselves to freely furnish that broken symmetry at the precise timing and in the precise direction to momentarily overcome and eliminate the back mmf. In that case, the motor shaft and flywheel accelerates in the forward mmf zone, and does not decelerate in the usual back mmf zone because that zone either has been zeroed or even reversed momentarily. So the shaft and flywheel gain free extra angular momentum (energy x time) on every rotation, and a drag load can then be added to the shaft to decelerate the shaft and flywheel back to “normal”, thus being freely powered by the free angular momentum transferred to the load. My personal friend and close colleague Ken Moore professionally and independently measured one of Howard’s propulsive gates here in Huntsville, and meticulously verified its “free propulsive kick” that Johnson had successfully obtained. While it does not appear in the terribly flawed classical electrical engineering (put together in the 1880s and then arbitrarily symmetrized in 1892 by Lorentz, to eliminate all Johnson-type asymmetric systems), since 1957 and the award of the Nobel Prize to Lee and Yang for their prediction of widespread broken symmetry in physics, we have known that every dipole (e.g., a magnet with separated north and south poles) is a broken symmetry. And as Nobelist Lee states, when we have a broken symmetry, then something previously virtual has become observable. So the broken symmetry of a magnetic dipole freely absorbs virtual photon energy from its ongoing seething interaction with the active virtual state vacuum, coherently sums the successive virtual excitations to the quantum level, and then re-emits a real observable photon – real, usable EM energy, that has been extracted from the seething vacuum. The automatic summation and quantal emission process is ongoing and iterative, so any magnetic (or electrical) dipole continually extracts virtual energy from the active vacuum and outputs the energy as cohered quanta – real, usable, EM energy continuously and freely emitted from the source dipole. The easiest way to prove this is to lay a charged capacitor or electret across a permanent magnet, so that the E-field of the electrical component is at right angles to the H-field of the magnet. Then by every conventional electrical engineering university textbook in its Poynting energy flow section, that silly gadget will sit there and freely and continuously pour out (emit) real Poynting energy flow S, given by the simple equation S = E ´ H. And if we just leave the simple gadget alone, it will continue to freely pour out real, usable EM energy until the end of time. Yet there is no observable (quantal) EM energy being input to that device. There is instead the continuous input of virtual (subquantal) energy from the vacuum, and integration of the absorbed virtual state energy into the emitted observable energy. While this is totally outside normal electrical engineering (which erroneously assumes the vacuum to be inert), it is good “modern physics” as shown by Lee and Yang. Again, Nobelist Lee himself pointed out that, whenever we have such a broken symmetry, something virtual becomes observable. The dipole and its broken symmetry do indeed obey the extended conservation of energy law. But the input energy is in virtual form (subquantal), while the output energy is in observable (quantal) form. But there is no creation of energy from “nothing” in the permissible free energy device. The world-shackling electrical engineering problem is that, since the arbitrary Lorentz symmetrization of electrical engineering mathematical model in 1892, our electrical engineers have built only symmetrical overall systems – systems which use half their collected free quantal energy from the vacuum to destroy their own source dipolarity faster than they use part of the other half of the free “real EM energy from the vacuum” to power the loads. So to provide a proper “EM energy windmill” capable of (1) separately intercepting and collecting part of that free EM energy wind from that permanent magnet and its crossed electret, and then (2) separately dissipating this collected free energy in the loads to power them freely, one must build an asymmetric “EM energy windmill” system. And that is impossible by present electrical engineering standards which only prescribe and permit symmetrical EM systems. So it is the severe crippling of our standard electrical engineering that is responsible for the world energy crisis and – if we ever wish to permanently and cleanly solve the energy crisis – then the classical EM model must be corrected and seriously updated to add back the asymmetrical Maxwellian systems presently arbitrarily discarded by Lorentz. Johnson’s epochal work was a very long example of his struggle to build just such long-neglected asymmetrical magnetic systems, which – permissibly – would then freely self-rotate and power the loads, continually and freely “energized” by virtual state energy freely received from the seething vacuum. Howard had found several effects (notably the exchange force effect discussed in Nobelist Feynman’s three volumes of sophomore physics) which could be evoked and, if evoked with sufficient controlled precision of timing and direction, each could break the symmetry of his magnetic propulsion gates and his rotating machines precisely so as to allow self-powering. Sadly, the major problem that Howard had all those years was the lack of the very substantial funds necessary to afford high precision machining and cutting of his nonlinear magnets used to make asymmetric assemblies and to evoke the necessary asymmetric forces and pulses. So he personally cut his magnetic materials with a diamond saw himself, which meant that it was nearly impossible for him to attain the “couple thousandths of an inch” precision necessary for the exact timing and directional control of the desired “symmetry-breaking” effects to be evoked. Nonetheless, he did succeed on at least two occasions. One of those successful self-rotating Johnson machines (in the 1970s) had his magnetic assemblies mounted on a crude “Lazy Susan” turntable. He brought the operating machine down to Huntsville for me to see and examine closely. And I personally played with that machine, with the stator magnet assembly rigidly C-clamped to the table, and the little turntable rotor and rotor magnet just went around and around, slowly but continuously for about two hours – continuously doing real, free work by physically displacing air and overcoming the friction resistance of the crude bearings. On Howard’s return to Blacksburg, very shortly a break-in occurred at his lab, and the only thing taken from the several hundred thousand dollars worth of assemblies, magnets, etc. was his successful rotary prototype device. Howard’s improvements on the early microtome were patented and are used in medical centers and clinics and at Johns Hopkins Hospital. His improvements on signal coding and decoding are still classified and in the capable hands of our U.S. military. His brake work and muffler work are also still in use. For many years his major backer was a Blacksburg realtor, Mr. William Price. William also personally furnished Howard the basement of a nice brick farmhouse, in which to locate his laboratory and keep all his equipment and buildups. The sheer labor and large numbers of different kinds of buildups that Howard produced simply boggle the mind. My own deep regret is that Howard never had the huge funds required to set up a highly skilled and professional team and pay them to do the necessary work and buildups in parallel, and to use very high precision machining of all his designs and parts. His asymmetric mechanisms were and are quite real and were and are consistent with modern physics – although they were and are understandably inconsistent with the hoary old seriously-flawed 1880s and 1890s symmetrized electrical engineering. Johnson, Howard R., "Permanent Magnet Motor." U.S. Patent No. 4,151,431. Apr. 24, 1979. Johnson, Howard R., "Magnetic Propulsion System," U.S. Patent No. 5,402,021. Mar. 28, 1995. Johnson, Howard R., "Magnetic Force Generating Method and Apparatus," U.S. Patent No. 4,877,983, Oct. 31, 1989. Johnson, Howard R., "Pulse Noise Reducer," U.S. Patent No. 3,838,749, Oct. 1, 1974. Johnson, Howard R. "Muffler," U.S. Patent No. 3,779,339, Dec. 18, 1973. Johnson, Howard R. “Muffler with plural side branch chambers.” U.S. Patent No. 2,566,939, Sept. 1951. Johnson, H. “Outboard motor air intake.” U.S. Patent No. 2,914,133, Oct. 1959. We also point out that in physics there are more than 200 named effects in magnetics. And only about half of them are understood. The other half range from “poorly understood a little bit” to “totally not understood at all”. For many of these effects, I strongly suggest the latest edition of Cullity’s original 1972 book. The new edition is B. D. Cullity and C. D. Graham, Introduction to Magnetic Materials, Wiley-IEEE Press, 2nd Edition, 2007. Howard Johnson used the original 1972 Cullity book for decades, and introduced me to it decades ago. The Cullity book gives these effects in very clear and simple manner, so the new user can readily understand and use them. In finale, with Johnson’s sad passing we have lost one of our great magnetics pioneers and researchers. He was a good and moral man, religious, devoted to his wife and family, and resoundingly liked by just about everyone who came to know him. He showed me so many new things, new principles, and effects that it made a profound difference in my personal orientation and in the direction I took after Howard became my friend and inspiration. Our greatest condolences and deepest heartfelt sympathy go to Howard’s family and his close associates. We are very conscious of your great loss, and the loss of a noble and highly inspiring human being. But as Howard so well knew, death is not the end, and it is my firm belief that he has gone on to a far better state and situation. To the end of my life I will strongly continue to treasure my many years of association with Howard, and to appreciate the many insights he gave me. He was a truly great researcher, a pioneer, and a great human being, and we are all forever saddened by his departure. Editor's Note: Howard Johson is also memorialized in the 90 minute Energetic Productions LLC DVD "Howard Johnson - Magnetic Exchange Force Pioneer," available at http://www.energyfromthevacuum.com/Disc4HoJo/index.html which features an extensive interview and Q and A with Howard. It was filmed in 2005. We can now contextualise Johnson in relation to spintronics and the giant magneto resistance spin off technologies. Air pollution is very big problem in the world now a day. The electricity we produce is mostly by thermal power plants, where the coal or natural gas or petroleum is used as fuel. This electricity generation creates very large air pollution. So, we thought to find the new alternate electricity generation device which does not produce any kind of pollution, i.e. the green power generation. We found the device named, Permanent Magnet Motor, which does not produce any kind of pollution. In Permanent Magnet Motor, the permanent magnets are used to produce the mechanical work. So, by using the Permanent Magnet Motor we can produce the eco-friendly energy. This concept, i.e. to get the green energy and to finding out the alternate energy source is very important now a days, because of the less quantity of fossil fuels like coal, petroleum, natural gas, etc. So this concept of Permanent Magnet Motor can be very useful to fulfill these aspects. The idea of getting something for nothing is as old as man’s discovery of the basic rule of elementary mechanics. The invisible magnetic forces, which had provoked the inquiring minds, played a substantial role in this heretofore unsuccessful, fruitless hunt. When an ordinary horse-shoe or bar magnet can catch a piece of iron, and hold it with astonishing force, the question is obvious, could not the same force provide useful work which will cost nothing beyond the price of the magnet. In India still it is difficult to produce power from any kind of resources. The need of power of our country is most of which is satisfied by conventional resource i.e. coal. It is costly to use another alternative conventional. So it is necessary to find some alternative source of energy which is available easily and at lower cost. By using the magnetic power we can get the solution. It is pollution free energy source. It is noise free as well as easy to move. It is long life and maintenance free operation. When the same pole of two magnets faces each other they repel each other and this magnetic force is converted into mechanical energy and that mechanical energy is further converted to electrical energy which is used for electricity generation. 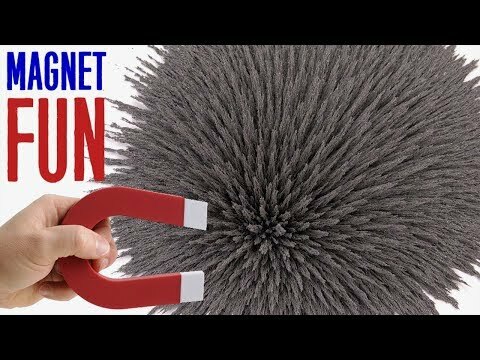 Magnetism is a natural phenomenon which is governed by the known or some of unknown natural laws. First of this is the basic and universal law, Energy can neither be created nor be destroyed; it is only transformed from one state to another. It is a well-known scientific fact that the permanent magnets are storehouses of energy, what we put in by magnetization. At least we must be able to recover part of this energy if the conservation law is to be upheld. In everyday language matter is either magnetic or non-magnetic. Magnetism is a property possessed by certain materials. Actually, all materials react in some slight degree to the magnetic field. 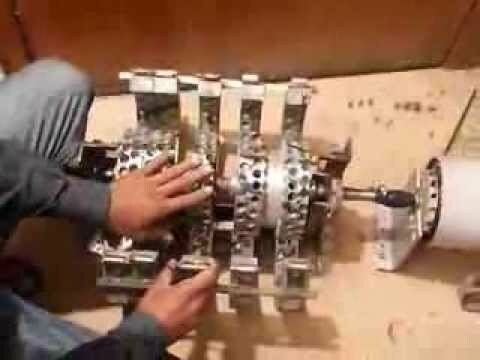 Johnson has discovered how to built motor that runs without an input of electricity or any other kind of external energy. In the rendering of Howard Johnson magnet motor stator magnet provide repulsive force to armature magnet which are attached to rotating drum, as rotating drum spins it drives a belt that is coupled with conventional generator. The generator provides electric power. 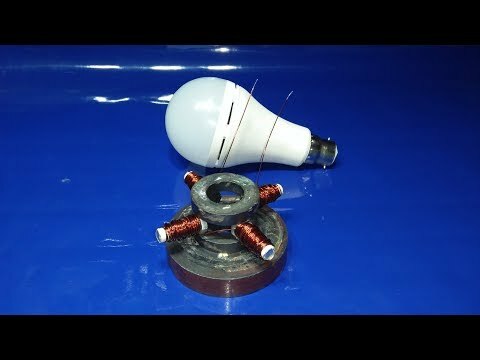 Magnet motor runs its own. In drawing that shows a curved arcuate armature magnet in three successive positions over a line of fixed stator magnets provides at least highly simplified insights into the theory of permanent magnet motive power generation. Johnson says curved magnets with sharp leading and trailing edges are important because they focus and concentrate the magnetic energy much more effectively than do blunt end magnets. These arcuate magnets are made slightly longer than the lengths of two stator magnets plus the intervening space, in Johnson’s setups about 3-1/8 inches long. Here, the stator magnets all have their North faces upward, and they are resting on a high magnetic permeability support plate that helps concentrate the force field. The best gap between the end poles of the armature magnet and the stator magnets appears to be about 3/8 inch. As the armature North Pole passes over a magnet, it is repelled by the stator north pole and there is an attraction when the north pole is passing over a space between the stator magnets. The exact opposite is of course true with respect to the armature South Pole. It is attracted when passing over a stator magnet, repelled when passing over a space. The various magnetic forces that come into play are extremely complex, but the drawing shows some of the fundamental relationship. Solid lines represent attraction forces, dashed lines represent repulsion forces, and double lines in each case indicate the more dominant forces. As the figure on previous indicates, the leading (N) pole of the armature is repelled by the north poles of the two adjacent magnets. But at the indicated position of the armature magnet, these two repulsive forces (which obviously work against each other) are not identical; the stronger of the two forces (double dashed line) overpowers the other force and tends to move the armature to the left. This left movement is enhanced by the attraction force between the armature north pole and the stator south pole at the bottom of the space between the stator magnets, simultaneously at the other end (S) of the armature magnet. The length of this magnet (about 3-1/8 inches) is chosen, in relation to the pairs of stators in magnets plus the space between them, so that once again the attraction/repulsion forces work to move the armature magnet to the left. In this case the armature pole(S) is attracted dimensioning, more strongly by the magnet (double solid line) that tends to pull the armature to the left. It overpower the lesser drag effect of the stator magnet to the right. Here also there is the added advantage of, in this case, repulsion force between the south pole of the armature and the south pole in the space between the stator magnets. The importance of correct dimensioning of the armature magnet cannot be over-emphasized. If it is either too long or too short, it could achieve an undesirable equilibrium condition that would stall movement. There are three shafts which are supported on two end support plates. Three wheels are attached on the front end of the shafts as shown in the figure, from which one is big wheel and another two are small. On the back side of the motor there is gear arrangement, which will provide the motion to the all three wheels, according to the motion of the any one of them. There is one actuator magnet, which is providing on the base and near to the middle big wheel. The actuator magnet is static. The figure of Bowman Magnetic Motor is shown on the next page. When there is no actuator magnet. If we don’t put an actuator magnet, then net resistance will be zero, and therefore the rotors spin freely as if there are no magnets exist. The figure below shows the magnetic fields without actuator magnet. When we introduce an actuator magnet to the motor, the rotor begins the motion. Here, some of the lines of magnetic force are drawn to the actuator, freeing up the lines of force from other magnets in vicinity, allowing magnets in QA1 to do work. Here note that, when the actuator is placed in the QA2 region, the rotation direction reverses. A simple and concrete example of a permanent magnet motor in figure-7 show the normal sort of idea the conventional engineer thinks of when confronted with the question of a self-energized permanent magnet motor. This shows parts of two permanent magnets: A fixed north pole as part of the rotor. We choose to examine the magnetic force field situation in a 90-degree sector A-A about the stator position show. We assume that the rotor is mounted in convenient fashion upon a shaft, with a flywheel to store and release energy. As can be seen, macro-work from the flywheel through the shaft must be furnished to drive the rotor during the first half of its travel through sector A-A. During the second half of the sector, work is accomplished by the rotor on the shaft, and is back through the shaft and stored in the flywheel as energy. In figure 8, sector A-A is spread out flat as a horizontal axis. Rotation now appears from left to right along this line. On the vertical axis it shows the magnitude of the repulsive force experienced by the rotor north pole N at each position along sector A-A. In the leftmost half of the diagram, the repulsive force between the two magnets requires that energy be expended from the flywheel through the shaft onto the rotor system. In the rightmost half, the repulsive force between the two magnets furnishes energy back to the rotor system, and in turn through the shaft into the flywheel for storage. In each case, the energy involved is given by the area under that half of the curve. As can be seen, in the idealized system, as much work is required to be done on the rotor system to drive it to centre(to the stator) as is performed back on the rotor system as it passes the stator and moves away to the right. This device is very useful to produce pollution free energy at very low cost. It can also be used where mechanical work is needed, i.e. instead of electrical motor. Due to its compact size and portability, it can be used as portable generator. The Permanent Magnet Motor produces green energy, i.e. we can generate pollution free electricity. Apart from that we can get mechanical work directly as a rotary motion. This energy is very cheap due to no running cost and very low maintenance cost. This device is portable, acquire less space and also run in all the atmospheric conditions. 1. Howard R. Johnson, “Permanent magnet motor”, US 4151431, April 24, 1979. 2. David Hatcher Chidras, “The free energy devices handbook”, pp.27. During this video we see in #2 a field strength map for the earth . What should be noted is that the earth is like a Lodestone crystal, as are most celestial bodies. The contour maps show what the field looks like , but we still draw the magnetic torque,Ines to indicate how a compass behaves generally. Because of this we find the Bermuda Triangle stories so intriguing thinking this reversal or loss of compass pointing is due to an episode of the Twilight Zone! What Howard Johnson revealed is that a bar magnet is still a lodestone structure! We can consider the poles as monopole or individual north and south magnets but they never appear purely on their own. Bearing in mind the lodestone structure of any permanent magnet we have to describe a general pole interaction in which a dominant pole arises. It is not even that a dominant South Pole has to arise with a dominant North Pole, one pole simply has to be dominant . The other pole is attracted to the dominant pole in the analogous sense of minimising the Intensity. Do attraction is always a minimising of intensity or strain energy in a volume. The south or subordinate pole. The only way to minimise the strain is to allow dominant and soubdominant to interact. The pressure we feel then is accurate"y depicted by the 4 region double vortex model. It is attraction that appears anomalous in this model. How these intensities release strain requires an accompanying action and that is direction of Torque. When torque is absent the material can relax together, but when torque is present regardless of direction of net torque the material is squeezed apart. In a crystalline structure this makes sense but in a polymeric string torque will contract the string into a tight ball/crystal first and then squeeze it apart. So here we see confirmation of Johnson’s mapping of a permanent magnet , but also done more quickly than90 minutes. Where is the vortex spin? These designs have implications for the PMH but clearly the flux is in the material in a practical way . The Seattle magnetic assembly and The neodinium magnets from an old hard drive plus microwave magnets have one thing in common: non uniform magnetic patterning. The patterns are such that natural radiomagnetic variation in our environment(from radio waves power lines etc) generate a magnetic current like the PMH does when being disarmed. These devices are very suggestive of vortex spin dynamics in non linear magnets and magnetodynamics in permanent magnets. 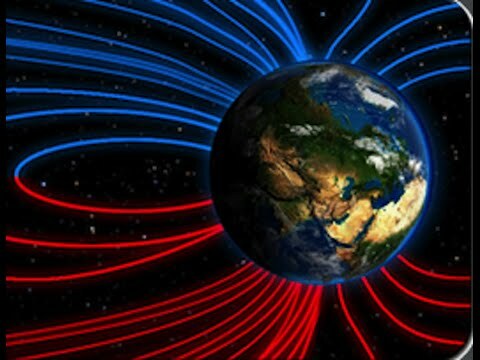 The magnetic flux path is just another way of saying the magnetic current path. I am reading a paper submitted in 1855 to the royal philosophical society in which the notion of a diamagnetic polarity was experimentally tested. M Weber was of the opinion that diamagnetic polarity was a distinct behaviour like paramagnetic polarity , and as permanent as magnetic polarity. Already by this time experimenters recognised that induction was accompanied by currents. This was ampéres highly respected conclusion and model of Electrodynamism. Faraday also had reported the induction of a decaying or establishing magnetic” field” structure induced currents in conducting circuits and and conducting materials. There is a correspondence between Ampére and another researcher as to the equivalence of his notion of circulating currents in the surfaces of conductors under induction and the notion of current loops moving throughout the body of the conductor( Ampéres initial model of a current in a circuit of conducting material) . What this current of loop currents was was not elaborated upon except to emphasise it was an ELECTROdynamique which in those days meant a non static electric charge phenomenon. What an electric charge was was defined by how it was produced and in what materials not by a particle , and inherently it was a magnetic fluid and atmosphere in the Gilbertian philosophy. Gilbert Himself devised and demonstrated this magnetic effect with his gold and silver Electra-scope. We see here a willingness to investigate magnetic currents , a dynamic force as a living experiment not waiting for static equilibrium. Later atomists and alchemist who opined that the atom was indivisible required a smaller indivisible unit, and implored JJ Thompson to give them this. He remained unconvinced but was “ bought” off with gifts and honours and platitudes so as not to rock the boat of the Atomistic agenda. Nobody knew then what these currents were and they do not know today. But the model of a unit charge was and is very attractive. That charge if a particle had to be dynamic, and for a long while it was given translational and otbital dynamics. Much later when Magnetic behaviour became universally observed, this particle was given spin axial dynamics to represent the smallest magnetic dipole. On the macroscopic scale prior to all these conventions it was mOpted that another form of magnetism called diamagnetism existed, but what was being demonstrated in the 1850’s was that this was another Induced affect of the common polar field and that Faraday Field of influence line vector notions were crucial language for describing and explaining these data. The question is: how does induction cause this difference in Torque and expansion, and how does it cause the contraction in paramagnetism. What are these currents and their relational structure that is associated with dismagnetism? We can already see from the paper discussing Johnson’s results that conventional electric current theory does not explain magnetic pole patterns well. My convention is simply that magnetic poles in a dipole or quadrupole or multiple pole(Lodestone crystal)lattice structure is the fundamental dynamic object , whether as vortex spins or Skyrmions these are the fundamental dynamic forms of Electrodynamics, these are the natural current elements and their induction leads to paramagnet or weak diamagnetic behaviour and spin. I have posited that in fact electric charge and electric current are diamagnetic torsion pulses in especially diamagnetic conductor materials , but on ferromagnetic materials the domain walls carry this torsion, and finally in biological crystal materials diamagnetism is disruptive to the integrity of such materials. The reference to professor Tyndales confirmation of Faraday observation of induced diamagnetic polarity in certain conducting materials. What is demonstrated is that the magnetic flux may be diverted by certain materials, these deflections of the flux still produce poles at impedance boundaries such that North and south dominant poles are established, but in opposition to the inducing poles or field line direction/vector in the sphere of influence. These poles come to rest , under induction, orthogonal to the jnducing field and as far from the inducing poles as physically possible. . Thus the material experiences torque that rotates and stretches the diamagnetic material orthogonal to the inducing field. It is my contention that this rotating torque is the transmitted power or pulse called electric current in AC mode. A paramagnetic material is rotated and stretched in line with the inducing field and will not produce so effectual a current in a generator , creating many heating and vibrational problems. So now within a voltaic cell I suppose similar torsion behaviours occurring resulting in diamagnetic “ions” so to speak transferring a torsion wave through the chemical media during the reaction. Allowing that torsion wave to pass out into a conductor further aligns the chemical reactants so that in any particulate region the chemical particles in solution may react together more fully. It is convenient to describe this in atomic terms but as proposed this is a regional magnetic interaction of material destructively interfered with within water, so as to enhance the states of water. We call this dissolving in water. Some detailed expositions clear the ground for my proposal. While de Broglie matter waves are subsumed in a technical mathematical analogue or equivalence the nature of the observations are rarely questioned at this level. It is either a particle or wave according to convenience of measurement or exposition.. however the mathmagicians obscures the potential primitive polarities at this scale by a convenience called a magnetic moment and an ease of measuring so called electric current intensity. Our instrumentation has shaped our view of what is what and their potential interactions. Johnson’s simple mapping of the permanent magnet reveals the underpinning potential and vortex spins that reveal paramagnetic and diamagnetic behaviour. As such this information should be carried down to all scales including the scale of the Lorentz electron and the Bohr magnetron . So called quantum theory as pushed by the media is misleading and obscurantist. ,common sense tells you that. 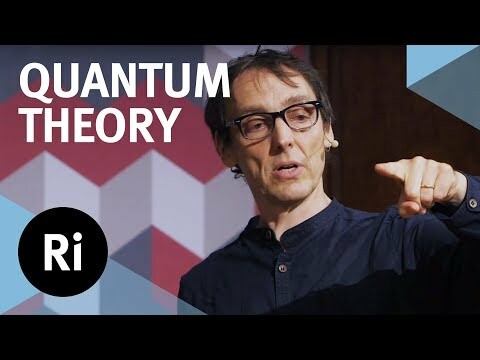 Here a professional makes clear what is and what is not quantum theory.